Weight increased by 10g. This is an ultra heavy weight tuned model. 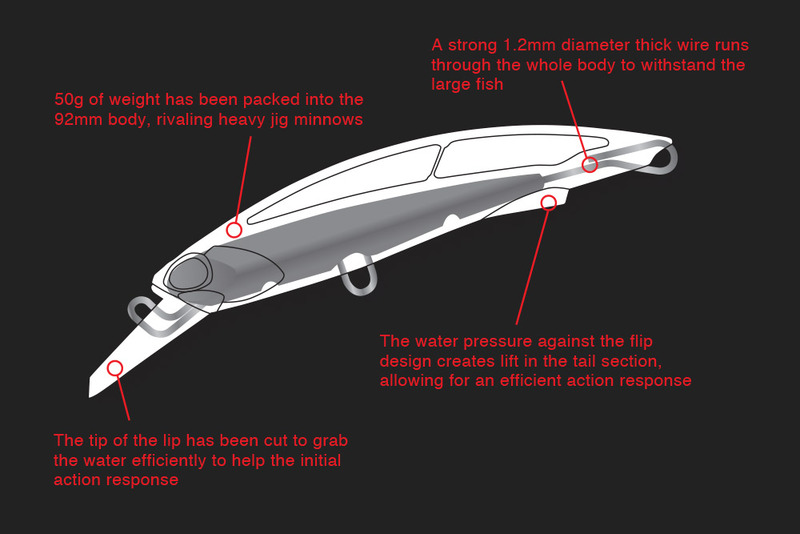 The most unique aspects of the Rough Trail BLAZIN are the bevel cut lip to instantly take hold of the water and the flip designed tail section to create lift. These two aspects of the lure have eliminated the bad action response of heavy weight minnows, which are generally their weak point. This has not only helped anglers domestically but also international anglers to generate amazing results. 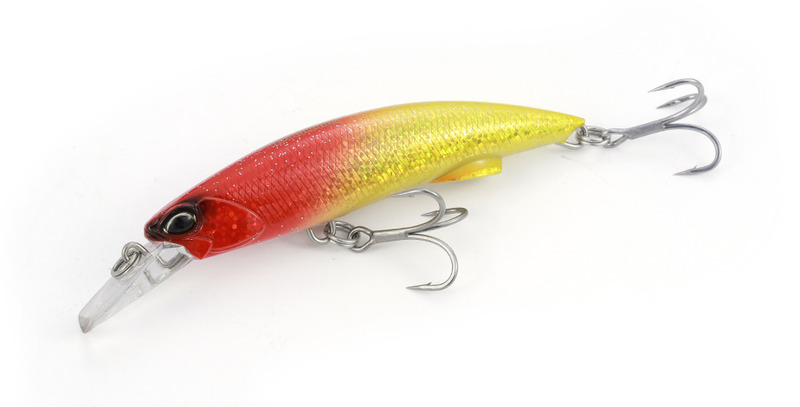 In 2017, we have added 10g to the lure giving it a total of 50g body weight for this heavy weight tuned model. With casting distance like no other lure, not only is it ideal for land-based fishing for various blue-runner species but also great for off-shore casting targeting bonito’s and dolphin fish.